From Manchester’s Frogtastic to Walsall’s Religion and Mansfield’s TenFifty learning disability club nights are designed to help democratise the UK’s dancefloors. Social isolation can be crippling for people with learning disabilities and bringing those facing similar challenges together in a safe environment seems like the perfect way to tackle the blight of loneliness. But how much progress do these nights really represent when premised on the idea that mainstream clubbing is too unsafe because of the dangers of bullying and harassment from drunks? "People with learning disabilities can encounter patronising attitudes and unwelcome stares in mainstream venues." Also, almost all learning disability club nights finish around 9.30pm because support workers come off shift around half an hour later. So club nights almost always end when the fun is just beginning for everyone else. Around a decade ago musician Paul Richards was a co-founder of the Stay Up Late campaign to convince care firms to change their working arrangements to allow people with learning disabilities to enjoy better social lives. The campaign grew out of Heavy Load, a punk rock act of which Richards was a member. The band had members with learning disabilities, including drummer Michael White, singer Simon Barker and guitarist Jimmy Nichols. When playing disability nights it was a never ending source of frustration that fans would leave at 9pm to make sure everyone was home in time for support workers’ shifts ending an hour later. Richards is unconvinced by learning disability club nights as an exercise in inclusion. He sees them as rooted more in segregation than inclusion. “They’re effectively segregated from the rest of the clubbing world or people in the town going about regular evening activities," Richards says. 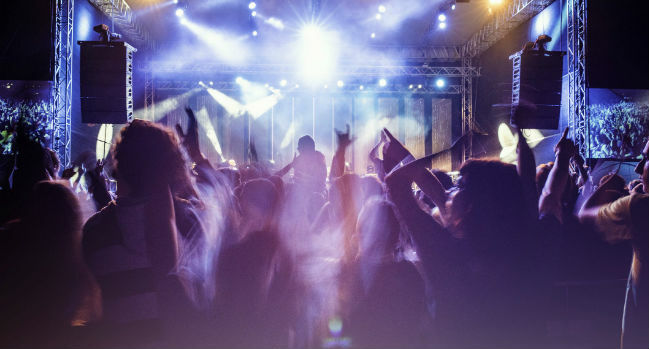 The musician emphasises his campaign is not against the club nights, but believes they can only ever be viewed as a step on the road to inclusion. After watching a BBC piece earlier this year on a “learning disability rave” in Manchester that started at 6pm and finished at 9pm, Richards blogged about how he was left feeling “angered”. The event was organised because there was a perception regular nights were too dangerous and because support staff couldn’t work late. Richards says he was left scratching his head wondering why there wasn’t widespread outrage that people with learning disabilities felt unable to go to clubs for fear of being persecuted by drunks. And why we tolerate support arrangements that tell people with learning disabilities they have to be tucked up in bed at 9pm to suit a system that is designed to support them. Richards maintains that learning disability club nights can “hold back” the Stay Up Late campaign when they are viewed as the “be all and end all” and when nights end early because people are leaving anyway. “If people are going home by 9pm you should still try to keep your club open until 11pm because how is anything ever going to change?” Richards believes one of the most successful aspects of the Stay Up Late campaign has been the development of the Gig Buddies volunteering programme. This matches adults who have a learning disability to a volunteer with similar interests so they can attend events together. It also means people with learning disabilities can choose to leave whenever they like rather than in time for the 10pm shift change as with many of the club nights. “The point with Gig Buddies is that people can go and listen to the music they identify with." DJ Jamie Firman runs monthly learning disability club nights at Walsall’s Religion nightclub between 6.30pm and 9.15pm that he says bring in a minimum of 250 people with support workers. "Why do we tolerate support arrangements that tell people with learning disabilities they have to be tucked up in bed at 9pm to suit a system that is designed to support them?" Chris Rollason, who has Asperger syndrome, enjoys the nights at Religion, where he does a half hour DJ set as well as mingling with friends. “I’ve been there from the beginning and it’s had a huge impact on my life,” said the 26-year-old from Walsall. Terry Snowden organises eight learning disability club nights a year at Manchester’s Frog & Bucket comedy club that, including support workers, bring in between 150 and 170 people. Snowden, 57, believes his learning disability nights, known as Frogtastic, can co-exist with the integration emphasis of the Stay Up Late campaign. Snowden says people with learning disabilities can encounter patronising attitudes and unwelcome stares in mainstream venues. He believes the club nights, which run between 7.15pm and 10pm, offer a relaxed environment that will always be in demand with people with learning disabilities and those who care for them. “If we can help society to be more accommodating and understanding on the one hand, while providing real life experiences in real world environments on the other hand that’s a role that’s worth playing,” he said. Tracy Radford organises Mansfield’s TenFifty monthly learning disability club nights at the andwhynot bar and restaurant with colleague Jimmy Power. The nights, organised between 6pm and 10pm, started in March 2016 and attract between 150 and 170 people.